Simulations and games are not new artifacts to the study of science in secondary school settings (Hug, Kriajcik and Marx 2005), however teachers remain skeptical as to their value, use and appropriateness (Rice 2006). The difficulty is not only the design and development of effective play environments that produce measurable changes in knowledge and/or understanding, but also in their on-the-ground use (Jaipal and Figg 2010). 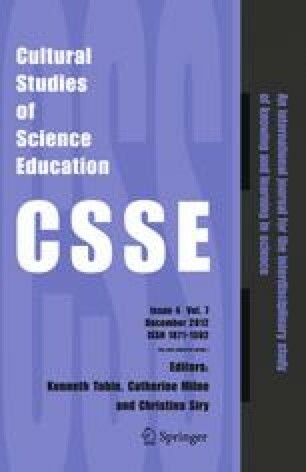 This paper reports on the use of a science-focused video game in five very different secondary school settings in Ontario, Canada. A mixed-methods approach was used in the study, and included data gathered on general gameplay habits and technology use, as well as informal interviews with teachers and students who played the game. In total, 161 participants played a series of games focused on the “life of a plant”, and were given both a pre and post quiz to determine if the game helped them retain and/or change what they knew about scientific processes like plant cell anatomy and photosynthesis. Participants showed statistically significant improvement on quizzes that were taken after playing the game for approximately one-hour sessions, despite difficulties in some cases both accessing and playing the game for the full hour. Our findings also reveal the ongoing challenges in making use of technology in a variety of school sessions, even when using a browser-based game, that demanded very little other than a reliable internet connection. Canadian Educational Association. (2010). Waiting for superman: A Canadian perspective. Retrieved October 1, 2010 from http://www.cea-ace.ca/publication/waiting-superman-canadian-perspective. Ontario Ministry of Education. (2011). School information finder. Retrieved January 4, 2011 from http://www.edu.gov.on.ca/eng/sift/index.html. Squire, K. D. (2004). Replaying history: Learning world history through playing Civilization III. Unpublished doctoral dissertation, University of Wisconsin. Retrieved October 1 from: http://website.education.wisc.edu/kdsquire/dissertation.html.